At least 11 police officers were martyred Friday when PKK terrorists detonated a bomb-laden car near a security checkpoint in the southeastern Turkish province of Sirnak, the regional governor's office has said. According to the Sirnak Governor’s Office, three further officers succumbed to their wounds in hospital, bringing the death toll to 11. Following the attack, Health Minister Recep Akdag had told reporters in Istanbul that the blast injured over 70 people, leaving some in a critical condition. 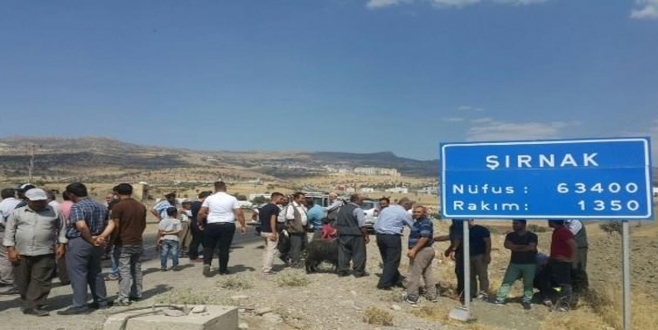 Security sources said earlier that the terror attack targeted the checkpoint some 50 meters from riot police unit headquarters in Sirnak's Cizre town.The blast caused extensive damage to the police building. Nearby houses and workplaces were also damaged. Security forces are currently searching for the perpetrators. Meanwhile, Turkey’s Radio and Television Supreme Council has banned all broadcasts about the deadly attack in the interest of public safety and an ongoing police investigation. The PKK -- also listed as a terrorist organization by the U.S. and the EU -- resumed its 30-year armed campaign against the Turkish state in July 2015. Since then, more than 600 security personnel have been martyred and more than 7,000 PKK terrorists have been killed. If there was America or Russia..
President Erdoğan had a teleph..
Turkey launched its second mil..
''that attack targeted not onl..
28 KILLED, 60 HURT IN TURKEY A..
Turkish fighter jets struck te..
Sayeeda Warsi, a senior Muslim..
UN emergency fund allocates $1.. Number of passengers flying wi.. The Pentagon indicated Monday ..
On World Day, UN highlights li..
Anzac Day at Gallipoli ! On 25..
Three More Refugee Camps In So..